My 2nd purchase from this seller. I purchased a Moon and Sun box before. Same results! Box sealed and my sons pulled out a fair amount of EX/GX, rares. Great seller. I will buy from them again. Tbook.com crawls the web to find the best prices and availability on Pokemon and related Toys products like Pokemon Sun and Moon: Guardians Rising Booster Box, 36-Count. For this page, related items include products we find that match the following keywords: "Pokemon" at our vendor partner Walmart. 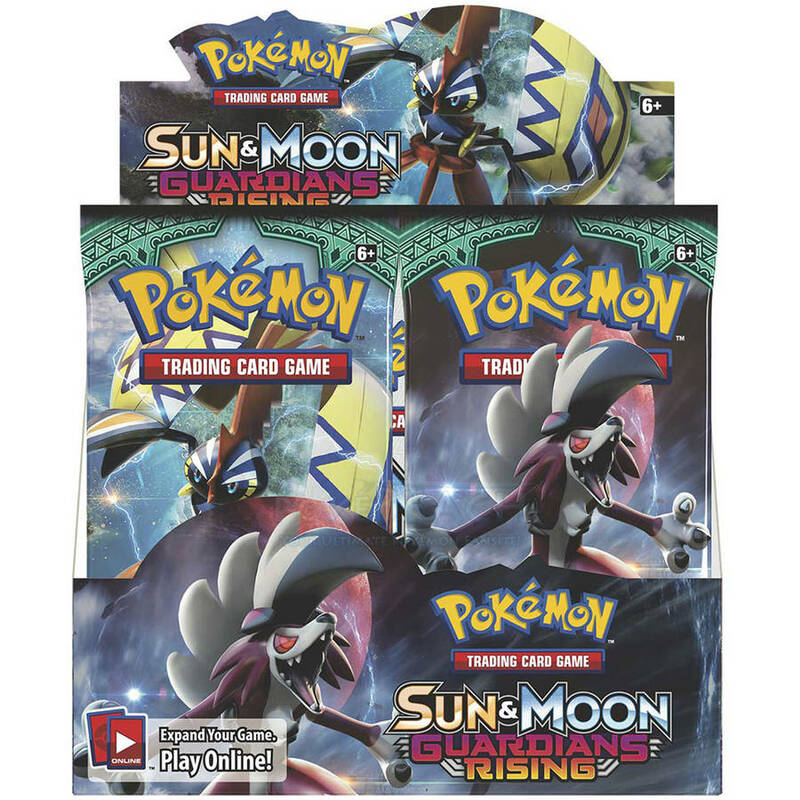 Pokemon Sun and Moon: Guardians Rising Booster Box, 36-Count is one of 111 Pokemon and related products listed in the Toys section of Tbook.com If you have any questions on this product, please give us a call at 734-971-1210 during the hours of 9am - 5pm EST for assistance. Thank you for shopping at Tbook.com, the Internet Department Store!